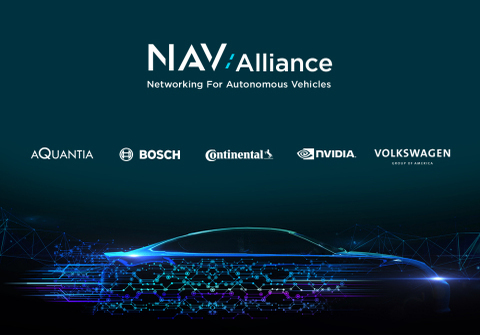 Bosch, Continental, Nvidia, Volkswagen Group of America and Aquantia have formed the Networking for Autonomous Vehicles (NAV) Alliance to collaborate on developing the next generation of Multi-Gig Ethernet networking inside vehicles. The partnership is a response to the demand for high-speed in-vehicle communications required for the correct operation of AVs and CAVs. 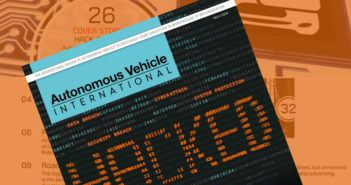 It aims to develop an ecosystem for next-generation multi-gig Ethernet automotive networking; create specifications for interoperability, security and reliability of the in-vehicle network; and promote products and solutions that adhere to the new specifications. “Redundant and diverse AI algorithms are the key to Level 5 automation. However, the volume of data generated by multiple types of sensors (camera, radar, lidar, ultrasound) can reach 32TB every eight hours  that level of data transfer calls for a new breed of ultra-high-speed networks, including Multi-gig Ethernet. 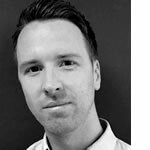 The NAV Alliance will catalyse the development of a reliable next generation of networking platform for self-driving cars,” said James Hodgson, senior analyst  autonomous driving at ABI Research. The NAV Alliance will also establish standards body liaisons and work on marketing to build awareness and educate the market place and users.